courtesy of The Aerial Academy! 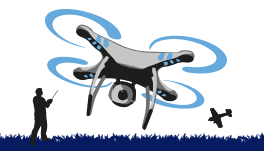 Drone Cover Club, an association for Drone & Model Aircraft enthusiasts, is proud to promote safe flying and offers Members a great range of benefits including free online drone training and cost effective insurances for recreational and hobby pilots. As part of the Country Cover Club group we have built a reputation for insurances you can trust and the highest levels of customer service. Joining Drone Cover Club is quick and easy, providing instant access to training materials and your printable Evidence of Insurance certificate! Tailor your Membership package to suit your needs with 4 Membership terms and optional insurance benefits including Accidental Damage, Loss & Theft Insurance, EU & Worldwide Extensions and Enhanced Personal Accident Cover. Plus choose from a range of accessories such as personalised hard copy certificates, handy Membership cards, DCC badges and more. Please visit the Member Insurance page for full details of each Insurance Benefit. Insurance Benefits are valid across the UK and Republic of Ireland. Cover across the European Union, Worldwide cover and a range of other Optional Insurance Benefits are also available. All offers subject to Schedule of Membership, payment of Membership fees, and Master Policy details. Regular e-Newsletter featuring news and Members' only deals. Visit Member Benefits for full details of discounts and privileges provides by our DCC Trade Associates. Drone Cover Club Membership is available to all persons resident in the United Kingdom (defined as England, Scotland, Wales, Northern Ireland, the Scilly Isles, the Isle of Man, Channel Islands) and the Republic of Ireland. Overseas visitors may obtain Membership and insurance for the UK or RoI provided they have a UK or RoI address for the period. Membership for overseas visitors cannot be bought in conjunction with the EU or Worldwide extensions. Groups of 10 or more Members can join at a reduced rate of £24.95 per annum. Please visit our Syndicate page for further details. Full terms & conditions of membership are detailed in the DCC Schedule of Membership. 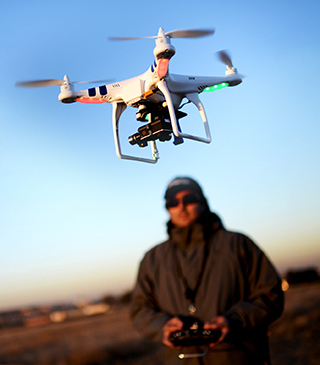 Drone Cover Club is a wholly owned division of Country Cover Ltd.